Hooray! An enchanting first chapter book for children that delights, amuses, is readable, and even stretches our reading muscles to read some French words. A children’s book for a new reader must be enjoyable, or the love of reading will get squished. It’s possible a new reader will need some help with this children’s book, but it is totally within reach. I love that the book is set in Paris, as it makes the whole thing even more inviting. Learning to read is an invitation to travel to other lands, and why not start in an early reader children’s book? The message is also charming – being with a friend makes you that much braver and daring. I enjoyed sharing this book with a second grader who was heading to Paris to visit family. Books are a wonderful way to introduce children to another culture, especially prior to a visit. 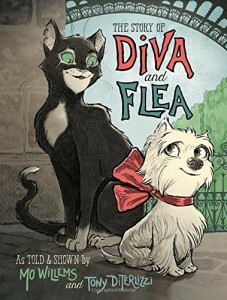 This children’s book comes to us from two notable authors and illustrators, who each have award-winning books. Their teamwork on this book results in a delightful story and terrific illustrations. A sweet and fun read-aloud for younger children, and a definite thumbs up for independent early readers.